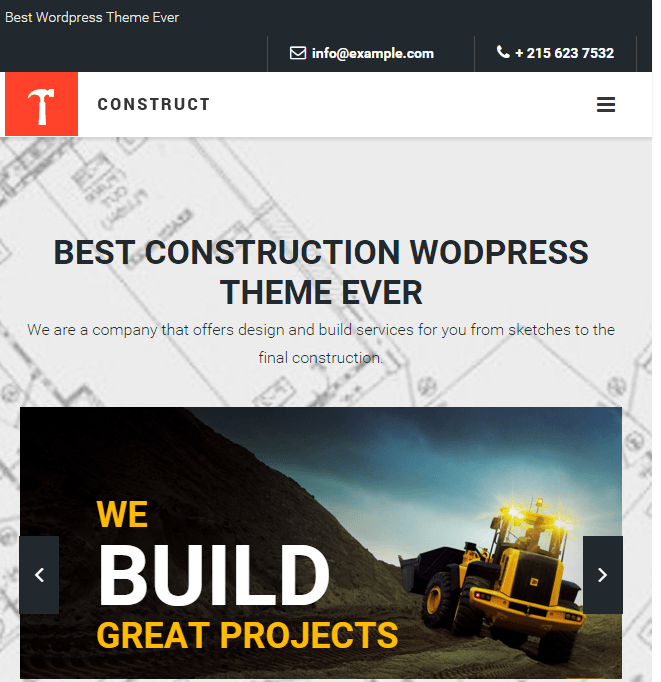 Constructent is a stylish WordPress Theme designed for building a website related to construction. It is a very flexible and provides with a clean code that can be customized as per the requirements. It is very simple and easy to understand and provides with some great features that help to build a better website. 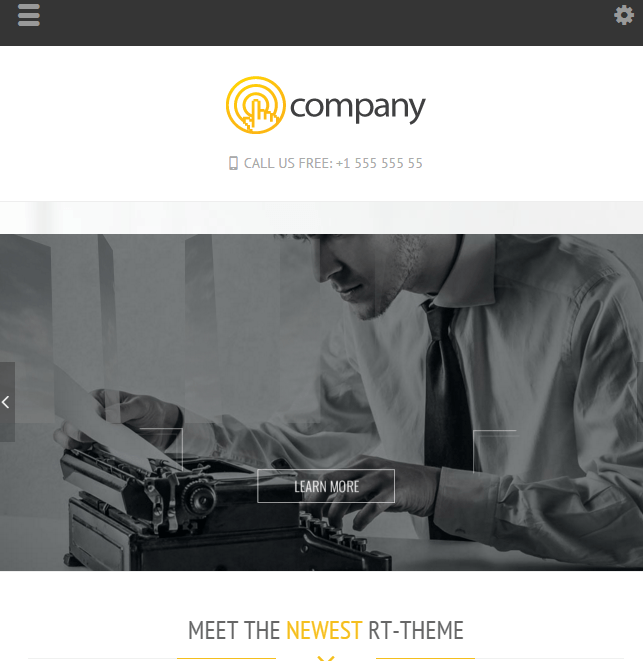 This theme is compatible with all the available browsers and is a very responsive theme. The code of this theme is designed by keeping SEO in mind and is SEO optimized. This theme is compatible with WooCommerce plugin and provides with a product layout page design. It provides with .po and .mo files and is translation ready. This theme provides with unlimited color schemes and different layouts to give a different look and feel to your website as per the requirements. It allows to display the portfolios in a very elegant way to attract more visitors to the website. Gives you the freedom to customize the theme as it supports the child theme. Navigation is made easy for visitors to navigate from one menu item to another through the sticky navigation. Allows to keep a control over the settings of the theme through the powerful admin panel. This theme is very nice theme which made my land development website with various plugins like woocommerce, WPML and It comes with many color variation. It gave nice look to my portfolio page with effective design. 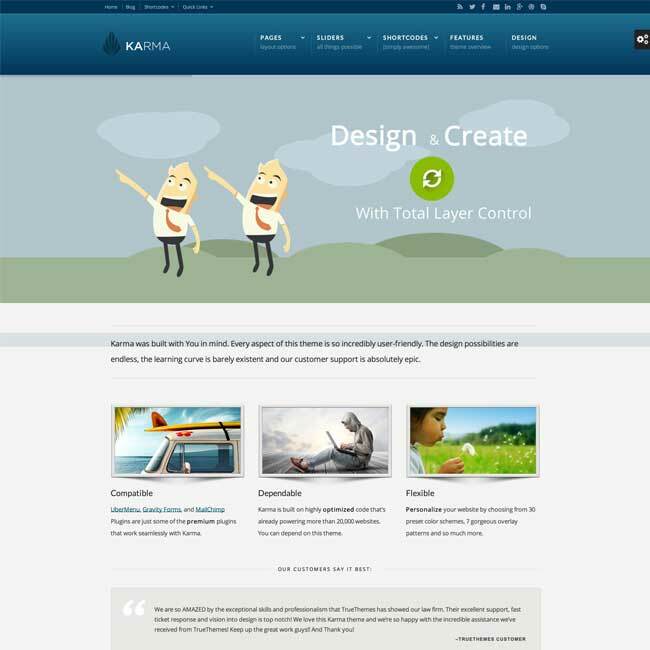 This theme allows to keep a control over the settings of the theme through the powerful admin panel. 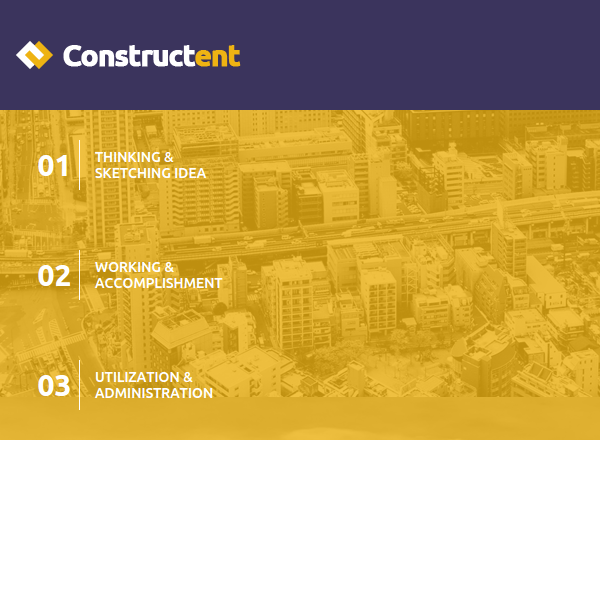 Thank you Constructent, Made My business completed…! 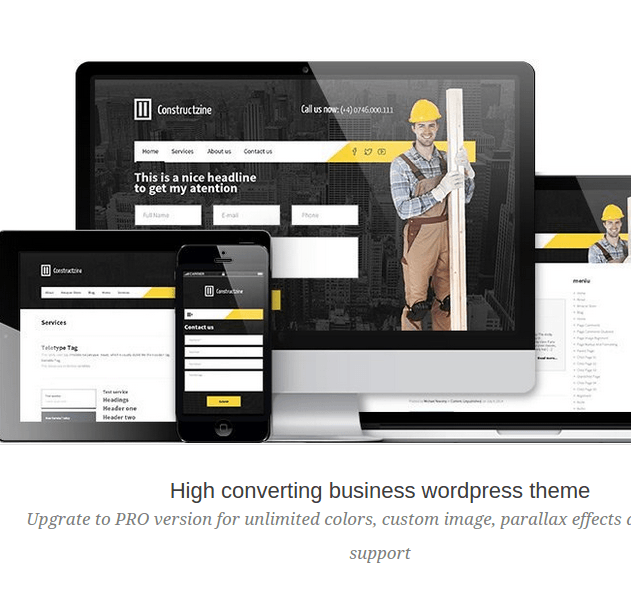 A Construction Business WordPress Theme. 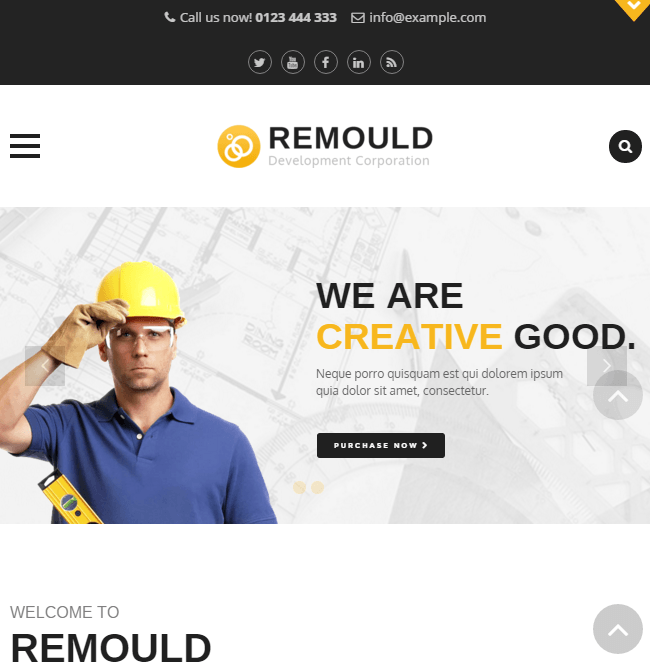 WordPress theme for Construction and Building.